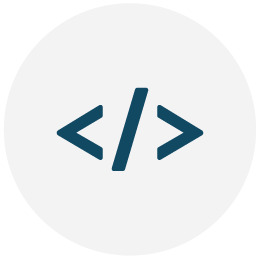 Colibri Software has worked with dozens of clients to provide custom software development solutions. We enjoy focusing on projects that use geo-located content delivery to optimize information that is delivered to the end user. Colibri has developed a mapping system that delivers targeted information to the end user, resulting in an intimate and customized experience using the software. We abide by the Agile Programming Methodology which allow us to quickly test and iterate our projects. 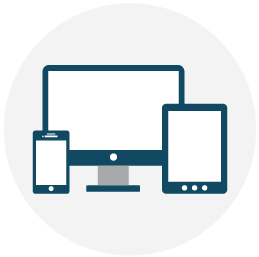 All of our websites are made responsive by default, which means they look beautiful across all screen sizes. All content is managed in our Locomotive Content Management System (CMS) and we specialize in medium and large website development for companies and communities. Colibri Software has created multiple mobile applications that use geo-located content delivery to deliver content to users based on their interests and locations. We develop our mobile applications across all platforms and work with graphic artists to create beautiful and intuitive user interfaces. 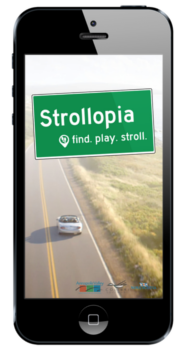 Strollopia is a mobile application that guides tourists with its recommendation engine. It is a geolocated content management system which organizes content indexed on multiple layers. It is a publishing platform for the crowd sourced telling of the true Nova Scotian experience. It is an infinitely reconfigurable marketing tool for reaching the tourist in real time and in a multitude of modes. Strollopia is an unprecedented mobile tourism application that utilizes the collective knowledge of locals, tourism operators and industry leaders to crowdsource hidden gems and share these locations with travellers. Strollopia's recommendation engine serves as both a trip planner and virtual tour guide which will draw from a diverse data set to deliver a carefully targeted message based on the visitor's position, market segment and past history, offering a more intimate experience. Highly targeted data delivered just in time and in specific locations will free visitors to experience the best the province has to offer. The Dalhousie Agricultural Mobile App was done in collaboration with Dalhousie's Agriculture department in Truro, Nova Scotia. The app delivers geo-located content based on where the user is located. The app also will be used for quizzing and other classroom learning. 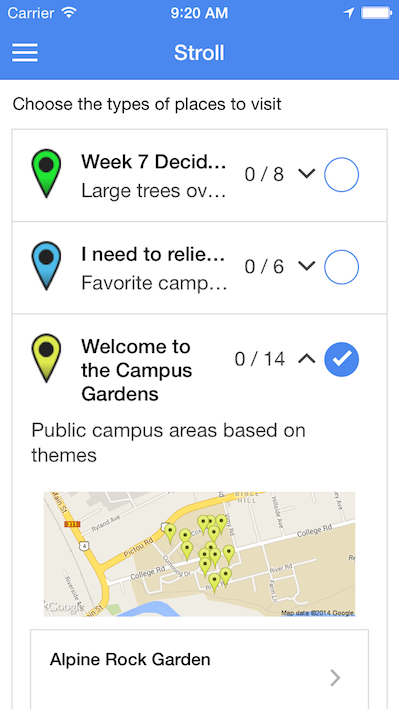 This app will deliver content to students and visitors as they interact with the university gardens. Using Colibri's simple, crowd sourced “get your community on the map” software, Instructor Jeffery Morton will be able to quickly set up and manage content destined for the phones of his students. Quizzes and other class room content will be delivered based on a student's location. The application is powered by Colibri's Strollopia Platform. The platform allows for quick creation of geo-location apps. The Dalhousie Agricultural Mobile App will engage both students and the public, and will allow agriculture education for everyone. Colibri's Community Mapping Platform allows everyone to easily create and share a map. The system leverages a crowd sourced concept that allows mapmakers to easily create and share their data. Both rural and urban communities can now build maps to serve their citizens' needs while they map out compelling destinations for travelers. Individuals, groups, and communities can now organize their resources in a way that boosts efficiency and engages the town visitor. Colibri Software worked with the Kings Volunteer Resource Centre (KVRC) to create a central hub where visitors could find volunteer opportunities in Kings County. The KVRC team worked together to add content to the map which was then embedded in their website. Colibri Software also worked with the creator of Uncommon Common Art to map out a collection of outdoor art exhibitions across the Annapolis Valley. We helped that organization map out the locations of each art exhibition with pertinent details. This map will be embedded in the organization's website, allowing visitors to get directions to exhibit locations, and read background information on each artist. 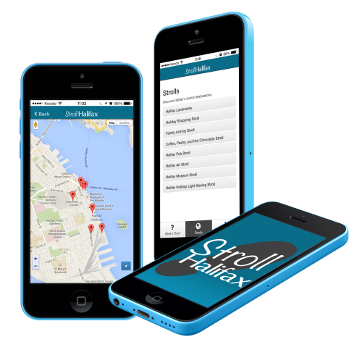 This mobile app was developed for “Apps4Halifax” competition in Halifax, Nova Scotia, and won bronze in the Live-It-Up category. Developed for Android and IOS, the app is a walking tour type app that delivers geolocated content based on gps data. The application delivers geo-located content based on the user's interest and location; once the user arrives at a destination, the application will notify them and provide content that is relevant to the location. Wolfville's Colibri Software used the PhoneGap framework to develop the app for both Android and IOS. The app is available in both the Apple App Store and on Google Play. It uses native push notifications on the phone to announce when content is available. Colibri Software developed this app with very tight time constraints. Built for the Nunavut Wildlife Management Board, CBMN is a mobile app designed to enable hunters to record wildlife data in Nunavut. This is accomplished by sending rugged mobile devices with hunters when they go to the wilderness on a hunt. The mobile device uses a built in GPS to record location and a questionnaire for hunters to enter observations. Upon returning from the hunt the device is given to a data clerk who uploads the data to a webserver so it can be organize and analyzed. This project was completed successfully in partnership with Noreca Consulting. 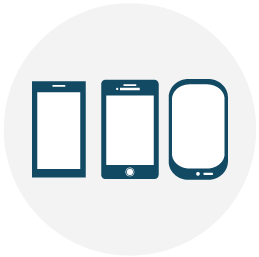 Colibri Software was responsible for developing the mobile application itself, which has two major components: 1) a state machine for the questionnaire logic and 2) a device specific user interface (UI). CBMN is a Windows Forms application for Windows CE 6.5.3 mobile platform. The UI is written in C# and the state machine logic is written in C++. It utilizes mobile device technologies such as GPS, camera and microphone. The app is multilingual, offering menus and questionnaire in English and two native languages. Colibri Software developed a custom piece of software designed to assist people who are learning English as a second language. The original scope of the project included correcting common mistakes in pronunciation and intonation. The user speaks into a microphone and the speech is analyzed by the application and speech errors are displayed. This project continues to be developed on Wolfville, Nova Scotia. Colibri Software started by developing a proof-of-concept for the pronunciation part of the project. This took the form of a Ruby on Rails app running on a server and used client side AngularJS for the website. A Java Servlet analyzes the speech using an open source speech recognition library called Sphinx and custom extensions written by Colibri Software actually pick out the errors.